Eric Schlosser Author, "Command and Control: Nuclear Weapons, the Damascus Accident, and the Illusion of Safety." He is also the author of "Fast Food Nation" and "Reefer Madness." Excerpt from “Command and Control: Nuclear Weapons, the Damascus Accident, and the Illusion of Safety ” by Eric Schlosser. Copyright 2013 by Eric Schlosser. Reprinted here by permission of Penguin Press. All rights reserved. MR. STEVE ROBERTSThanks so much for joining us. I'm Steve Roberts of George Washington University sitting in today for Diane Rehm. She will be back in this chair tomorrow. Investigative reporter Eric Schlosser's work is well known to many of you. He's the author of the bestsellers "Fast Food Nation" and "Reefer Madness." In his latest book he dives into the safety of this country's nuclear weapons programs and finds that averting catastrophic disaster may have to do with, well, luck. MR. STEVE ROBERTSHis book is called "Command and Control: Nuclear Weapons, the Damascus Accident, and the Illusion of Safety." Eric Schlosser joins me in the studio for this hour. Eric, welcome a pleasure to have you here. ROBERTSYou can join Eric and by email at drshow@wamu.org. We're available on Facebook and Twitter and, of course, our wonderful callers, 1-800-433-8850. Give us a call and join the conversation. You know, Eric, as I mentioned, your work is familiar to many of our listeners. You've had two major bestsellers. This book took you six years. SCHLOSSERWell, I was spending time with the Air Force after I finished "Fast Food Nation" and one of the officers I was with told me the story of a nuclear weapons accident in Arkansas and it was an extraordinary story and it stayed with me. It involved the biggest intercontinental ballistic missile we ever built with the most powerful nuclear warhead we ever put on a missile. SCHLOSSERSo I decided to tell that story. ROBERTSThis was the Titan II? SCHLOSSERThis was the Titan II in Damascus, Ark. and I decided to write a book about that story, a short book and the more I learned about nuclear weapons and nuclear weapons safety the book got bigger and bigger and more complex research. I mean it took a lot of time to dig up these details. ROBERTS...about nuclear weapons. They've been around forever, but when we were kids, we had duck and cover drills and the popular press was filled with stories about the threats from abroad and yet, as you point out, a lot of Americans have grown up at a time when that whole specter of nuclear disaster has faded. SCHLOSSERYeah, anyone who grew up during the Cold War remembers that nuclear weapons were just constantly on our minds and were an issue of national importance and debate on a daily basis. One of the great miraculous events of history was the collapse of the Soviet Union without a third world war, without people dying and the reunification of Germany. SCHLOSSERAnd I think people were so happy that that occurred and it was so significant that afterwards there was just a desire not to think about these issues anymore. But these weapons still exist. They're still on alert. They're still ready to be used, you know, a couple of thousands of them on a moment's notice. SCHLOSSERAnd one of the statistics in my book that I think is quite remarkable, is that half the American population, either was not yet born or were small children when the Soviet Union disappeared. So there is an entire generation, and there are, you know, many millions of us who just don't have that sort of awareness. But the danger never went away. ROBERTSAnd the danger, part of, one of the main themes of your book is that danger is not just from foreign attack. The danger is from accident and misuse and mishandling and sloppy education and failsafe mechanisms. ROBERTSWhat was the most surprising thing you learned from this book in six years of research? SCHLOSSERThe most surprising thing was how close we've come to having detonations of American weapons on American soil. And you mentioned at the very beginning of the show that it was really luck that prevented it and I'd like to add a couple of other things. SCHLOSSERAmerican ingenuity, a great personal courage, because there were people who risked their lives and lost their lives trying to prevent these nuclear catastrophes but the reality is, and this is one of the things that I learned. We are much better at creating complex technologies than we are at controlling them. SCHLOSSERNuclear weapons are machines. They're the most dangerous machines ever invented and it's very difficult to control them particularly when you have sort of conflicting design goals. On the one hand the military wants these weapons available for immediate use and when they're launched they have to work, especially with bombs. SCHLOSSERIf a pilot is going to risk his life going into enemy territory to drop a bomb you want to make sure it's not a dud. At the same time, you don't want weapons to go off accidentally. So there's this conflict between always wanting them to go off when you want them to go off and never wanting them to go off when you don't want them to and literally that's the conflict between always and never. SCHLOSSERAnd some of the safety mechanisms, for example, that would make a weapon much more safe might make it less reliable. It might make it less likely to detonate. The safest way to store your weapons would be to remove the warhead from the missile. SCHLOSSERTo remove the nuclear core from the warhead but it might take hours or days to reassemble that weapon and you wouldn't be able to use it within minutes. So there are inherent conflicts in the nuclear stance that we have and that means that we'll always be at risk as long as we have the stance of having a catastrophic accident. ROBERTSAnd the other theme that you've written a lot about and is very prominent in the news right now is, you know, the threat from the Soviet Union, from a big power, as a source of a nuclear attack, has clearly faded. ROBERTS...into the wrong hands. And a lot of talk just recently in terms of the Syrian conflict, about how that might embolden the failure to deal with chemical weapons could embolden Iran and its search for nuclear weapons. So in many ways the whole discussion of where the threat is coming from is very different from the Cold War time. SCHLOSSERIt is and you know, when you talk about Pakistan and their weapons it's not just terrorist use of it. It is accidents in other countries. I mean this book is full of criticism of our nuclear weapons establishment but you know, we built 70,000 nuclear weapons in the Cold War and none of them detonated accidentally in America. ROBERTS...I mean, A.Q. Khan, the Pakistani, is probably the single biggest threat to, in terms of his release of information here. So it's not just nuclear accidents, industrial accidents, it is people with these secrets, selling them and trading them. SCHLOSSERThat's right but sad to say we need to be concerned about the management of our own nuclear weapons. At the end of the book I write about an incident in 2007 where the Air Force inadvertently lost control of half a dozen thermal nuclear weapons for a day and a half. SCHLOSSERNobody realized they were removed from a bunker. Nobody realized they were loaded on a plane. The plane just sat on a runway. Nobody was ever asked to sign a piece of paper acknowledging that they'd taken custody of these nuclear weapons. That's extraordinary. SCHLOSSERJust this year we've had two of our three Minuteman missile wings penalized for safety violations. A few years ago launch control centers in Wyoming lost all communication with an entire squadron of 50 Minuteman missiles for an hour and so the threat from our own weapons never went away and yet the public awareness of this threat is not, you know, is not very great at the moment. ROBERTSAnd probably, just to finish on the point of other states and their commanding control problems, probably the most dangerous border in the world today in terms of the potential use of nuclear weapons is the Pakistan/India border. ROBERTS...our ability to really control it. SCHLOSSERIn many ways, it mimics the kind of arms race that we had with the Soviet Union. The difference is that the animosity between the United States and the Soviet Union was largely ideological. It was about power politics whereas there's something about the hatred between neighbors which is that much more intense. SCHLOSSERThere are religious differences between India and Pakistan and the flight time of a missile is so brief that if one of those countries thinks they're under attack the pressure to retaliate will be immense and so a false alarm could lead to a nuclear exchange. SCHLOSSERHere at least with our Cold War, it might take 15 minutes, a half hour for a missile that's launched by one country to reach another. Between India and Pakistan, it's five or six minutes so you're talking about a very volatile situation and very dangerous. ROBERTSAnd the other element of volatility that you write about in this book is computer hacking and this is yet another whole way in which the system that you write about is now more vulnerable to attack, to subversion and none of this existed in the early days of this nuclear threat. SCHLOSSERI mentioned earlier the incident at F.E. Warren Air Force Base in Wyoming in 2010 where, you know, the launch control centers couldn't communicate with their 50 missiles for an hour and that led the Air Force to start thinking about. It turned out to be a mechanical problem but they started thinking about, well, can our command and control system be hacked? SCHLOSSERAnd the Defense Science Board came out with a study this year which said that the system has never fully been assessed for its vulnerability to hacking. And again, I think our system is probably the most technologically up to date that there is. The head of the strategic command this spring said that, you know, when he was asked, can China or Russia's command system be hacked so that a hacker launches a missile? SCHLOSSERHis response to the senator who asked the question was, senator I have no idea. Now I think, you know, the odds aren't huge but we can't rule out that possibility and it's a very dangerous one. ROBERTSAnd with Eric Schlosser's new book "Command and Control: Nuclear Weapons, the Damascus Accident, and the Illusion of Safety," we'll be back with Eric and the Damascus incident in just a minute so stay with us. ROBERTSWelcome back. I'm Steve Roberts sitting in today for Diane. And I'm with Eric Schlosser, Best Selling author of "Fast Food Nation," "Reefer Madness." His new book "Command and Control: Nuclear Weapons, the Damascus Accident and the Illusion of Safety." You can join our conversation, 1-800-433-8850, drshow@wamu.org as always our email address. And Eric Schlosser, you mentioned in the title of the book the Damascus Accident. You said earlier that this was the incident that moved you to delve more deeply into this whole subject. Tell our listeners what happened there. SCHLOSSERYeah, and tomorrow is actually the anniversary of it. It's the 33rd anniversary. SCHLOSSERAt a Titan II missile site in Damascus, Arkansas, a worker was performing routine maintenance on a platform near the top of the missile. And the socket fell off of his wrench. And it bounced on the platform and he reached out to grab it and it fell between a narrow gap between the platform and the missile. And the socket fell down the silo about 70', hit near the bottom, ricocheted and then struck the missile. And when it struck the missile it pierced a hole in it and rocket fuel started pouring out. Very volatile, explosive rocket fuel. SCHLOSSERThis was the largest intercontinental ballistic missile the United States had ever made. And on top of it was the most powerful nuclear warhead ever put on an American missile. That one warhead had a destructive force of 9 megatons, which is equal to three times the explosive force of all the bombs by all the countries in World War II, including both atomic bombs, an extraordinarily destructive weapon. And the book provides a minute-by-minute account of the air force efforts to save the missile, prevent it from exploding and prevent the possibility of a massive thermonuclear warhead detonating in Arkansas. SCHLOSSERAnd at the time Bill Clinton was the governor of Arkansas. He was in the state as was Vice-President Mondale. And it really could've changed the course of history. One of the important points I want to make and one of the main themes of the book is the extraordinary heroism of ordinary servicemen during the Cold War. There have been hundreds of books written on nuclear weapons. Most of them are about the Manhattan project scientists and Oppenheimer and Teller or their memoirs by national security advisors or secretaries of state. SCHLOSSERBut what I wanted to write was a book about the day-in day-out management of nuclear weapons, about the bomber pilots, about the launch crews, about the technicians. And even in one instance, about a bomb squad guy, you know, 20-year-old guy whose job it is to go over to a damaged nuclear weapon and try to diffuse it. And I think there was enormous personal courage and heroism during the Cold War by our forces that's never received the sort of acknowledgement that World War II veterans, that Vietnam War veterans belatedly have gotten. I think sadly Korean War veterans haven't really been acknowledged for their service. ROBERTSAnd you make the point that there's no memorial. Washington's littered with memorials to virtually every conflict but there were casualties and there were heroes in the Cold War that we often don't know about. SCHLOSSERThere is no Cold War memorial. In my view it was a just conflict. The Soviet Union was a terrible, terrible state that murdered millions of its own people. And there were American servicemen in the Navy, in the Air Force, in the Army who risked their lives and lost their lives during the Cold War. And one of the things I try to do in this book in the many different stories I tell is try to honor their sacrifice. ROBERTSTell us about one of them. Tell us about a hero. SCHLOSSERWell, a hero would be Timothy Griffus (sp?) , a firefighter at Grand Forks Air Force Base. Just a week before this Damascus accident there was another very serious nuclear weapons accident that got very little coverage. A B52 bomber was on alert and the crew was on the bomber and one of its engines caught on fire. And the fuel was pumping through the engine, so the engine became like a blowtorch. Miraculously there was a gale force wind that was blowing the flames away from the fuselage of the bomber. And the reason that was miraculous is there were four hydrogen bombs and eight missiles with thermonuclear warheads on them in the plane. SCHLOSSERSo the crew of the plane evacuated immediately, which is what they should have done. And the plane sat there empty on the runway for about two hours as this fire just was coming out like a blowtorch from one engine. If the wind had shifted direction, the plane, which was full of fuel, would've exploded and the weapons might have detonated. But they noticed through binoculars that the paint was beginning to blister on the plane and heat was getting closer to these thermonuclear weapons. SCHLOSSERAnd Timothy Griffus, a firefighter with children volunteered to climb onto the plane and try to figure out how to turn off the engine. And that was an incredibly heroic thing to do. He got into the cockpit and figured out how to turn off that engine. And the fire went out as though you were turning off a stove. And there could've been a major nuclear catastrophe there. And again and again the book is full of stories like that and real heroes like that who I think, you know, never got the recognition they deserved. SCHLOSSERThe systems worked until the day comes where they don't work. ROBERTSAre you still afraid of that? SCHLOSSERSo long as there are nuclear weapons fully assembled in the world, there is the risk that one will detonate accidentally, be stolen and used by terrorists or be used by unauthorized personnel. It's an inherent risk of having this technology. And, you know, I interviewed, as I said earlier, launch crews, bomber crews, Pentagon officials, nuclear weapons designers. And again and again I would hear that it was remarkable given the fact that we, at one point, had 32,000 weapons, the Soviet Union at one point had 35,000 weapons and no major city has been destroyed by a nuclear weapon since Nagasaki. It's incredible. SCHLOSSERAnd so the system has worked. But that's no guarantee that it'll work tomorrow. And the title of my book is "Command and Control." Command and control is a process and it can be working perfectly for years and then fail. I mean, for example, if you look at the Chernobyl nuclear power plant, that nuclear power plant operated safely for thousands of hours. And then one day it didn't. So we cannot afford to be complacent with the most dangerous technology ever invented, which is nuclear weapons. ROBERTSAnd have people learned from these mistakes? Have they learned from these near misses? Have new systems of command and control, new technologies been introduced that obviously, as you point out, you can't eliminate the risk. But has the risk been reduced? SCHLOSSERWe have learned from these accidents. And again, it's a testament to the hard work and ingenuity of our physicists and weapons designers but it wasn't easy. And one of the other narratives in the book is the story of an engineer at the Sandia National Laboratory named Robert Purafoy (sp?) who eventually became the vice-president of one of our nuclear weapons laboratories, who devoted his career to really campaigning for nuclear weapon safety. And having to fight all kinds of bureaucratic battles that you would never imagine needed to be fought. SCHLOSSERBut as more and more accidents occurred and as the dangers in our weapons became apparent, he really pushed for new and modern safety devices, which almost all of our weapons today have. So our weapons are much safer now than they were in the '50s, '60s, '70s, '80s because of people like Bob Purafoy and Bill Stevens (sp?) and a physicist named Sid Drell (sp?) who headed a panel appointed by congress in 1990 to look at our weapon safety issues. SCHLOSSERSo change can happen and I am by no means apocalyptic and I don't think we're doomed. And one of the reasons I wrote this book is so that there's a public awareness of these problems and so that changes can occur. And history shows that we can reduce our stockpile. And I'll just say one other thing. You know, if you look at the change in the stockpile just from when we had 32,000 weapons, right now, you know, we have a couple of thousand on alert, operational strategic weapons. SCHLOSSERThe Soviet -- you know, Russia has a couple of thousand. That's a huge reduction in our arsenal and that makes for a much safer world. ROBERTSAnd two of my heroes in this world are two former senators Sam Nunn and Richard Lugar, one Democrat, one Republican. In an act of great bipartisanship sponsored legislation to provide funds to dismantle nuclear installations in the former Soviet Union to employ scientists who might be tempted to sell their secrets. And I've always thought they did not get enough credit for an active bipartisan courage. SCHLOSSERThey should get the highest civilian metal that we could give. They have been truly courageous. And what's interesting to me, again doing my research, is if you were to go back to the Regan era, there was a big anti-nuclear movement that was a nuclear freeze movement. The biggest political demonstration in American history was three-quarters of a million people in Central Park demonstrating for a nuclear freeze. The people 30 years ago who were anti-nuclear were 18, 20 years old. SCHLOSSER...Max Kampelman. What's interesting is the people who understand these weapons the best and have the greatest familiarity with them are the strongest proponents of, you know, great reducing our arsenal or even abolishing these weapons entirely. And we need to listen to those elder statesmen. ROBERTSThat's fascinating because they're the ones who really understand them and have a more tangible direct understanding of their capabilities that the younger generation, as you said earlier, has not grown up with this. SCHLOSSERThat's true. And another thing I found in my research is this sort of liberal caricature of air force generals as war mongers and sort of -- I mean, I love the film "Strange Love" but I just was so struck by the Air Force generals who I interviewed, former generals of the Strategic Air Command who were anything but simplistic, who had a very complex understanding of these problems. And many of them concerned about our arsenal and its management. And, anyway, it's a complex problem, unfortunately. ROBERTSAnd they see it every day. ROBERTSI'm Steve Roberts and you're listening to "The Diane Rehm Show." Let's go to some of our callers and get their input. And let's start with Howard in Infield, N.H. Howard, welcome. You're on "The Diane Rehm Show." HOWARDThank you for having me. I'm enjoying the discussion very much. I wanted to show you my experience as a naval officer on a nuclear submarine. We were trained in the use of our nuclear torpedoes, which is what -- that was an early attack submarine. And that weapon was designed just the way the first atomic bombs were. It's not sitting around ready to be launched and detonate nuclear -- have a nuclear detonation. People have to get their hands inside it and make some connections so that it's ready to explode. HOWARDAnd that takes place when the world situation deteriorates and you get some orders to now make their weapons ready to launch, which takes maybe a couple hours to do or maybe less than that, depending on the weapon's design. And my experience is dated but I would assume that those principles still apply to the weapons design. And I think back to the incident where you had a B52 -- I think two of them crashed together and the weapons hit the ground in Spain and caught fire in a conventional explosion. Explosives exploded and spread the plutonium around and people had to go around and pick it up. HOWARDBut you didn't have a nuclear detonation so the weapons were designed from the beginning to not go off if they caught fire or something like that. HOWARDAnd the other thing you had mentioned about the Nunn-Lugar initiative dismantling the Soviet's warheads. 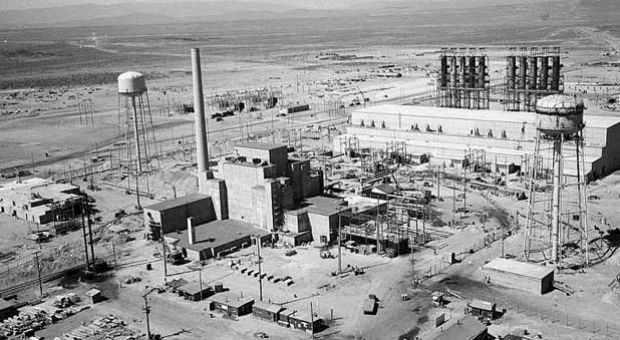 All that material was destroyed, all that plutonium and uranium -- it was mostly uranium -- by sending it to the United States and turning it into reactor fuel. So that was another benefit of that. But no only were the weapons destroyed but the material was itself destroyed by turning it into something useful. ROBERTSThank you very much, Howard. We appreciate your call. Eric Schlosser. SCHLOSSERWell, you know, the difference between a submarine and a land-based missile is the submarine is thought to be hidden and invulnerable. And at the time the caller was serving there might not be the same time pressure to use its nuclear weapons. With a land-based missile, the Soviets knew exactly where all of our missiles were. It was one of their war aims to destroy all of our missiles before they could be launched. And so that's why the warheads on our missiles were ready to go and the missiles were supposed to be out of the ground as quickly as possible. Because if we were under attack we had to get them out of the silos before they could be destroyed. ROBERTSWhere the theory was that on a submarine you had more time. SCHLOSSERYou had much more time. And that's one of the risks to this day about continuing to have land-based missiles like we do is, you know, inherently the way that they are today, they need to be used quickly. And something that needs to be used quickly could be more dangerous. ROBERTSAnd there are -- and one of the points you made that I think would be surprising to a lot of our listeners, that even with all of the reductions there are still installations, mainly in the middle West I gather, that -- where these weapons are armed and ready to go. SCHLOSSERReady to go. About the nuclear weapon accident that he mentioned in Palomares in Spain. A B52 bomber collided with a tanker that was fueling it and hydrogen bombs fell over Spain. He's correct in that the safety mechanisms worked. The high explosives in the weapons detonated. There was plutonium dispersal which was not a good thing. But weapons designers were not eager to see that accident repeated. SCHLOSSERParticularly with those weapons and the safety mechanisms that they had, if you did that three or four times, you might get one of those weapons going off. Not a good idea to drop hydrogen bombs over an ally. ROBERTSWhy were they even flying over Spain? Why were there -- these bombs airborne? SCHLOSSERRight after Sputnik and the development of Soviet ballistic missiles, there was a fear that all of our airbases and all of our missiles might be destroyed by a Soviet surprise attack. So early in the Cold War we put bombers into the air 24 hours a day flying near the Soviet Union with hydrogen bombs ready to strike. And it was one of those bombers on airborne alert that had the accident. ROBERTSEric Schlosser. His new book "Command and Control: Nuclear Weapons, the Damascus Accident and the Illusion of Safety." We'll be right back with Eric and your calls, your comments, your emails so stay with us. ROBERTSThanks so much for joining us. I’m Steve Roberts, sitting in today for Diane. She'll be back tomorrow. In this hour, Eric Schlosser, author of "Fast Food Nation," and "Reefer Madness." Many of you are familiar with his earlier investigative works. His new book, "Command and Control." He's been working on it for six years. It's subtitled, "Nuclear Weapons, Damascus Accident, and The Illusion of Safety." ROBERTSAnd, Eric, let me read you an email from Ron, who writes to us, "If you left a hand grenade on my stoop I'm confident I'd be able to use it. If you left a U.S. or Soviet thermonuclear weapon at my door, I'm positive I could not, even with the help of You Tube and Wikipedia. How many people in the whole world would have the knowledge to actually lose a nuke to do harm to anyone other than themselves?" SCHLOSSERI can't give the exact number, but there are people who know how to do it. And one of the things I write about in the book is the story of how we came up with locks, coded locks, to put on our weapons. When Robert McNamara was Secretary of Defense, he was stunned to realize that we had thousands of nuclear weapons deployed throughout the world with no locks on them. And they literally could be taken by someone and relatively, easily detonated. So now there are coded switch in the weapons. And you've got to put in the proper code. SCHLOSSERBut even with the most sophisticated coded switches that we have today, a nuclear engineer from a foreign country could probably figure out, with enough time, how to unlock the weapon and use it. Now, again, it's not you or me or an average civilian, but it could be done. ROBERTSNow, you talk a lot about the mistakes and the accidents. Has an American weapon ever been stolen? SCHLOSSERTo my knowledge an American weapon has never been stolen. But the incident I spoke about earlier, in 2007, was really concerning because we lost effective knowledge of the whereabouts of six thermonuclear weapons for a day and a half. And, you know, as the Snowden incident has shown, we need to be worried about insiders, not just about foreign enemies. So, you know, we need better inventory control of our nuclear weapons. The thing about the management of nuclear weapons is it has to be perfect. SCHLOSSERYou cannot afford to lose one of them. SCHLOSSERAnd that is enormous, enormous pressure. And, again, I give extraordinary credit to the people who are able to safely manage 70,000 of our weapons during the Cold War, but you can't afford to just safely manage 69,999. ROBERTSHere's an email, Eric Schlosser, from Mark, who writes to us, "Nuclear sub commanders have a dangerous degree of autonomy, at least as dangerous as 'launch on warning,' which is an accident waiting to happen." Talk about this issue of command and control and who really has the authority. SCHLOSSERWell, you know, the commander of a nuclear submarine is supposed to be able to retaliate against our enemy if Washington, D.C. has been destroyed. If the Pentagon and the military authorities have been, you know, wiped out. So to do that on the submarine, he needs the independent ability to launch those missiles. And that's an extraordinary power, but during the Cold War there were individual commanders, NATO commanders who had the same power. One of the things that's come out since the Cold War is the degree to which the authority to use nuclear weapons was delegated down the chain of command. SCHLOSSERAnd in fact, pre-delegated, which means in advance these commanders in NATO knew that if they were being overrun and they had nuclear weapons on the battlefield, they were authorized to use them. Now, under law it's only the president of the United States who's supposed to be able to give that decision, but the way that the command and control system evolved, that authority was delegated down the chain of command and it survives to this day, in the way in which the commanders of nuclear submarines can launch their missiles. ROBERTSEric Schlosser, let's turn to some of our callers. And, Greg, in Orlando, Fla., welcome. You're on "The Diane Ream Show," Greg. GREGGood afternoon. Thank you for taking my call. I just wanted to make a comment that I was in Northern Greenland in January of 1968, I believe, running a geophysical station from the top of a hill. And was witness to the B-52 that went down with numerous H bombs on it. There were four, as I understand. And one of them was never found. And there is residue of that right now. I saw it about a year ago. I don’t know whether it's still there or not. But you can look on Google and see next to Thule Air Force Base there's a contaminated area leftover from that accident in 1968. GREGIt's actually caused me to think on this subject a great deal through my adult life. And the one abiding question I have is with regard to the control, the political element of this situation, where proliferation puts us in a situation where you actually have minor powers who could be provoked into having a war so as to provide an example and reduce the number of weapons without destroying a major portion of the world. And I've never heard that situation discussed in literature or publicly anywhere. ROBERTSThank you, Greg, very much for your call. We appreciate it. ROBERTSYou mean it wasn't obliterated by a strike? SCHLOSSERThe first sign of a Soviet strike might be obliterating that radar base. Now, this bomber also carried bombs. And in this case it has four hydrogen bombs on it. And it's a remarkable accident. One of the navigators -- because it was a long flight, 20 hours -- brought foam rubber seat cushions onto the plane so that the flight would be more comfortable. And the seat cushions were stowed underneath a seat, inadvertently near a heat vent. The rubber seat cushions caught on fire. And they realized it when they smelled burning rubber. There was a desperate attempt to put out the fire on the plane. SCHLOSSERAnd the plane basically was lost. And the pilot, heroically, was able to guide the plane away from the air base at Thule. The plane crashed, conventional explosives and the hydrogen bombs exploded. The weapons didn't fully detonate, but plutonium was spread all over the ice there. But the great irony was, here's a plane that's supposed to keep its eye on one of our most important Air Force installations, and it nearly destroyed it. And this is no exaggeration. This has been written about. If those weapons had detonated and destroyed that base or even if that base had been destroyed by a conventional crash, nobody would have known what had happened. SCHLOSSERAnd it would have been a logical assumption that we had been attacked by the Soviet Union, because that was the first place that they would have attacked. ROBERTSAnd that might have ignited a counterstrike. SCHLOSSERThe base at Thule knew that this plane was having problems, but the Strategic Air Command in the United States had not been notified that this plane had a fire on it. So, again, this is all what if, what if, what if. ROBERTSWhat's astounding is that there is so many of these incidents and yet, not once did it go over the line. Not once did the nightmare scenario actually happen. SCHLOSSERBut anyone who drives -- and I love to drive, and I, you know, knock on wood, I've never been in a major accident, but three weeks ago I was driving, I was getting onto a highway and somebody was coming the wrong way right towards me on the on-ramp. He swerved out of the way, there was no accident. I could site six or seven other times. SCHLOSSERAnd, again, it's never happened until it happens. ROBERTSLet's -- very happy to have these calls of people sharing their own experience. And we have another one from Tim, in Richmond, Texas. Tim, welcome. You're on "The Diane Rehm Show." TIMOh, thank you. During a period of 1967 and 1969, through that time period, I was in the Air Force, serving in communications support for the Commander-in-Chief of the Strategic Air Command, in the underground command post. During -- what we did there was, as any, our primary mission was to conduct a nuclear war. When you talked earlier about no one ever got an award for the Cold War, is that everyone there deserves one because we lived with that kind of stress daily. We practiced our jobs, we conducted simulated nuclear war scenarios, and we always finished the scenario because we were all wiped out. No one survived. SCHLOSSER…things might happen so quickly. I interviewed former head of Command and Control at the Strategic Air Command and the level of stress that he had to live with because trying to figure out is this a false alarm or is it an attack. The number of bombers that were on alert. The air crews on the bombers on airborne alert had to be prepared to go to war and most of them knew they would never return from their missions. And many of these planes crashed during peace time. SCHLOSSERThese were dangerous, stressful jobs and these people have not received the recognition that they deserve. ROBERTSTim, thanks so much for your call. And I hear with our listeners what it was like to do this job, and what -- you used the word stress. What was it like going to work there every day for you? TIMYou know, the was the first thing we would do is, what is the DEFCON level we're at right now? You know, usually we were living under DEFCON 3 to DEFCON 4 on a good day, but when we went to DEFCON 2, we sealed ourselves in, we were on alert. The bombers and their crews were on the flight line, running, ready to go. The Minuteman Missile silos were prepared to launch and we were waiting. TIMIs it gonna happen? Is it real or is it not? And I can't count the number of times we spent like that. If I had plans, you know, and I couldn't tell anybody. I had a date one night and we went to DEFCON 2, and I couldn't go home. Comical now, but at the time I was wondering, okay, there may not be any tomorrow. And I couldn't tell the person I stood up, other than, well, I'm sorry, I had to work late and that was it. For years afterwards, when I would watch -- I was discharged from the Air Force and I would notice the world situation and I would wonder, okay, what DEFCON condition are we in right now and what do I do to protect my family? TIMAnd that's -- I went years with this haunting just hanging over my head. And when the treaty was signed with Russia and the Russian everything came to a halt, and I felt like dancing in the street because at least that part was over and that nightmare was gone. Because I knew that if it ever had to happen I was looking at the destruction of civilized civilization. And that I would, in 15 to 30 minutes, if there was a launch, I wouldn't be there because we would all be vaporized and so would our families and our friends and everyone around us. And that was daily life at that time. ROBERTSTim, thanks so much for sharing that story with us. We really appreciate it. Thanks for your call my friend. ROBERTSI'm Steve Roberts and you're listening to "The Diane Rehm Show." Quite a story. SCHLOSSERQuite a story. And one of the great stresses that people like that faced is the security clearances that they had. And people who work with nuclear weapons was so high, that they couldn't talk to their spouses about it. Again and again I would hear this. So they had friends who they served with who they could discuss this with, but, you know, Robert Peurifoy, who's one of the heroes in my book, the nuclear weapons designer who really fought for weapon safety, his wife heard these stories for the first time as we sat for hours talking about them. And that's a lot to carry around. That's a heavy weight to carry around. SCHLOSSERAnd this country avoided nuclear war and avoided that sort of destruction because people were willing to take that on. And the risk is much lower today, but it still exists. We need to confront it and we need to deal with it. ROBERTSIt's almost unimaginable to go to work every day knowing, as caller said so powerfully, knowing that not only could you be vaporized, but everybody you knew and everybody you loved, then living with that every day. Is there -- did you get into the whole question of post-traumatic stress disorder and other issues that people have lived with who have served in the kind of situations that Tim talks about? ROBERTSLiterally walk over to and diffuse? SCHLOSSERSo that takes a certain kind of personal courage. ROBERTSSure does. Final word here, Eric Schlosser, for all of the near misses, for all of the chilling stories you tell and our callers told, you actually come out of this book fairly hopeful. SCHLOSSERI would not have bothered to spend six years of my life on this subject if there were no reason for hope. It is one of the great achievements of this country that the Cold War ended without a war, and that the Soviet Union is no longer in existence. It's remarkable. There's no reason why a city has to be destroyed by a nuclear weapon. There's one reason why we need to live in the amount of danger that exists. And I wrote this book to create a public discussion of these issues so that the right steps can be taken. ROBERTSAnd what are those steps? SCHLOSSERI think that worldwide we need many fewer weapons in fewer hands. And in the United States, if we're going to have nuclear weapons we must spare no expense in how we manage them, how we compensate the people who look after them, how we train them. And this is just an urgent and important subject. To me, the two great existential threats that we face are global warming and nuclear weapons. One is occurring very slowly and may be able to be reversed, but the detonation of a nuclear weapon would happen very quickly and could never be reversed. So people need to know about it and do something about it. ROBERTSEric Schlosser, his new book, "Command and Control: Nuclear Weapons, the Damascus Accident, and the Illusion of Safety." Eric, we're so grateful for your time this morning. Good luck with the book. ROBERTSAnd thank you to our wonderful listeners and those great calls, sharing your stories with us and, as always, Diane Rehm listeners tell great stories. And thanks so much for spending an hour of your morning with us.